Frank Jay Porcaro is someone that I really admire because he has so much soul and tenacity. While working in a retirement home at age 18, Frank Jay witnessed people on their death bed regretting their life. This experience opened his eyes to the consequences of the consistent unconscious decisions most people make throughout their life. As a result, he began to study psychology and human behavior. Frank Jay is now a coach and speaker who has positively impacted tens of thousands of lives through his live events that have taken place in over 15 countries. 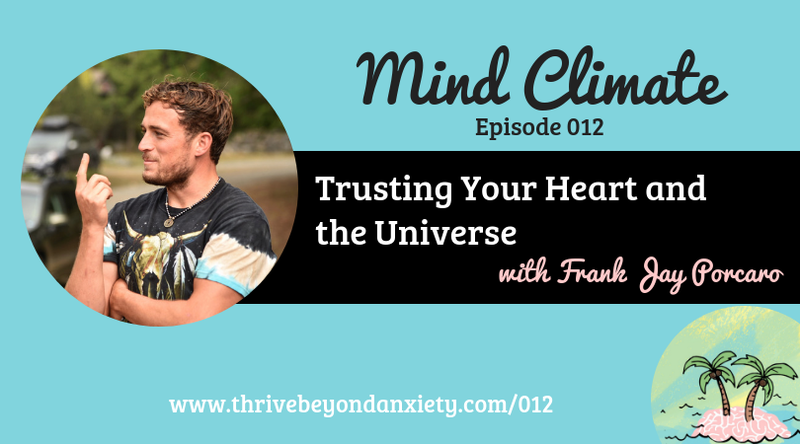 In this episode, Frank and I discuss the value of trusting in your heart and the universe.